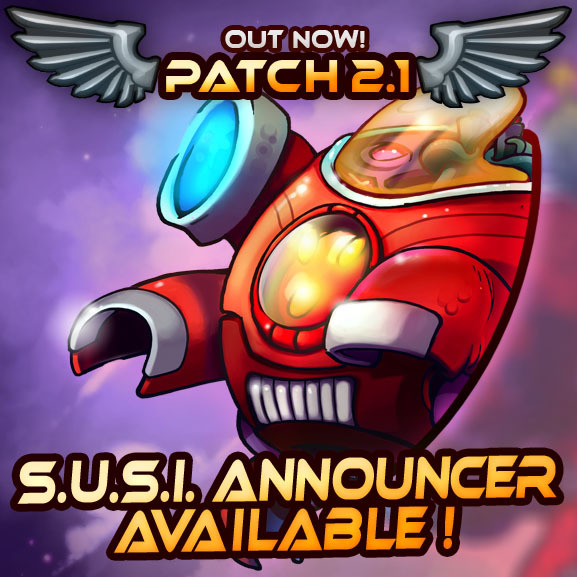 Patch 2.1 introduces SUSI announcer and the Randomnauts! With this latest patch we’re seeing a list of bugfixes and balance updates (read the full patch notes here) as well as a new Custom Game Mode preset: Randomnauts! Randomnauts throws you right into the action, no loadouts, no hero picking, just go! 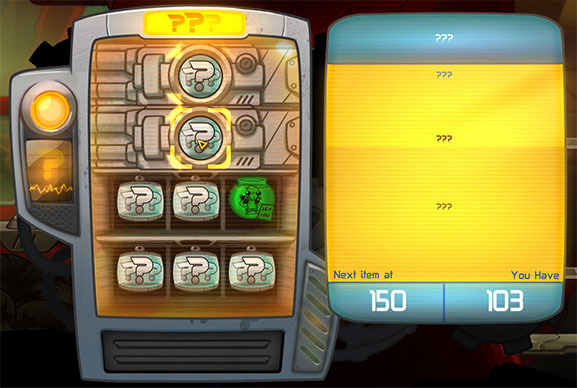 The first thing you’ll notice when you enter a match of Randomnauts, is that your entire shop will be filled with questionmarks. These can not be bought, instead, whenever you earn a multitude of 150 solar (this amount can be changed in the custom game mode settings), you will receive one item or skill randomly! If the sudden shock of this randomness manages to kill your ‘naut however, your next reincarnation will be an entirely random new ‘naut! You keep your progression in the amount of items you’ve unlocked, but the loadout will be completely random once more! We hope you’ll have a lot of fun with this preset and feel free to leave a comment or suggestion on the Awesomenauts Forums! Patch 2.1 also brings us the SUSI Announcer: Never was corporate restructuring this much fun! Tired of the same old Awesomenauts announcer? Then it’s time for some corporate restructuring! Enter the Specialized Universal Secretary Interface, SUSI. This corporate interface will boost your success and profitability rate on the battlefield by a 15.6% margin! SUSI will provide you with excellent battlefield market analysis technology, to make sure that every fight will have a worthwhile return on investment. Just make sure you have a solid exit strategy! The SUSI Announcer can be activated from the character select menu, the in-game menu, or the settings menu. Activating this Announcer will replace the default announcements made during regular gameplay with a whole new set. Get SUSI in the Steam Store right now! Awesomenauts 4.1 is OUT NOW! Reveals, winners, and launch dates! 4.1 Beta, Rocket’s Renegades, and tournaments!